Kenny was born in 1970 and grew up in Sunset Park, Brooklyn. In the eighties around the age of 11 or 12 he was absorbing up the hip-hop beats that were being played at local block and house parties. In 1985 from the age of 15 to 21 he began his musical career as a buyer for a local record shop called WNR Music Centre in Sunset Park, Brooklyn. During this time Kenny broadened his musical knowledge and found his love for “diggin” for records. To date Kenny has a collection of over 50,000 records. In the late 80’s, along with his friend and partner Mike Delgado, Kenny organized a series of neighborhood parties under the alias “Masters at Work”. Brooklyn’s DJ-Producer Todd Terry attended these parties and the two soon became friends. Kenny would cut school to go to Todd’s house to watch him work on beats and record singers and rappers. It was during this time that between working at the store, watching how records were produced, and being around so many creative people Kenny picked up on stuff. Kenny met King Grand (Russell Cole) and the two formed a group called “KAOS”. In 1987 Kenny and Todd produced the groups album titled “Courts In Session”. In 1988 at the age of 18, Kenny’s first album was released on Greg Fore’s label BadBoy Records. The label was distributed by Idlers/Warlock Records and was home to Jungle Brothers, Royal House and others. Gonzalez working as a mobile dj decided he was ready to move on to the next level in his musical career and borrowed a drum machine from Todd. 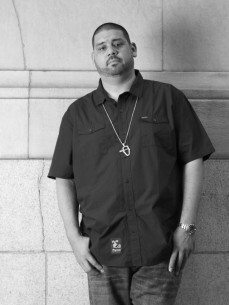 Kenny immediately began recording breaks and beats for DJ's and developed his style. Soon after he started his own independent label Dopewax Records and it wasn’t long before he was recording and releasing numerous underground hits of his own. The Dopewax label is still thriving and releasing all different types of tracks. Dopewax will be releasing its 100th track in September of 2011. In 1987 Kenny allowed Todd Terry to release a record using the Masters at Work brand that he had built up over time and the huge club hits “Alright Alright” and “Dum Dum Cry” were released. Todd returned the favor by introducing Kenny to DJ Little Louie Vega. Vega influenced by salsa, house and freestyle and Kenny in hip-hop and reggae, after comparing notes the pair decided that combining their wide range of influences could be an interesting experiment. In 1990, appropriately dubbed “MASTERS AT WORK”. Kenny and Louie began a creative partnership. As the MAW sound became prominent and pervasive in the clubs, they became more sought after by artists and labels, eventually remixing artists such as Michael Jackson, Madonna, Daft Punk, Barbara Tucker, India, Luther Vandross, BeBe Winans, George Benson, and Tito Puente. Others included Stephanie Mills, James Ingram, Eddie Palmaieri, Debbie Gibson, Bjork, Dee-Lite, Soul ll Soul, Donna Summers, Puppah Nas-T, and many-many more. During the 90s Kenny was traveling back and forth from England a lot. At a MAW gig during the Southport weekender Kenny watched the jazz dancers in the jazz room, seeing the dancers is what gave him the idea for syncopated beat (dubbed broken beat). This is when Kenny developed “the broken beat” style. Kenny worked on collaborative work with Vega aside from work on his own solo endeavors. MAW’s Nuyorican Soul was born in 1993. Titled after their heritage (Puerto Rican), residence (New York City), and style of music (Soul). Nuyorican soul released its first single “The Nervous Track” on Nervous Records that year. “The Nervous Track” was the first broken beat record. This is where Kenny got to showcase the syncopated beat style he developed earlier. The second single “Mind Fluid“ was released in 1996 also on Nervous Records. The Nuyorican Soul album was completed and signed by music maestro Gilles Peterson. Every aspect of the albums creation had Kenny’s unerringly creative imprint written all over it. The album marked a particularly important moment, and the albums release in 1997 marked Kenny Dope’s transition into one of America’s most important contemporary producers. Master at Work are currently labeled “The most revolutionary house production team of the 90’s”, so imitated that their innovations are now cliché’s. Latin percussion, joyous vocals, and natural drumbeats are MAW trademarks levitating dance floors with the infectious feeling of ecstasy and energy. If ever there was massive dance floor filler, it was maw's 1997 record, “Nuyorican Soul”, and in 2002 the album, “Our Time is Coming”. with cameos by Patti Austin, James Ingram, and Stephanie Mills. It simply proves that MAW write and remix great songs that are organic and soulful. Highlights include the afrobeat-tinged MAW expensive “A Tribute to Fela", Mills's gospel fire on "Latin Lover," and Roy Ayers's glorious vibes solo on the title track. Taking credit for saving a WTC life in "Michelle’s Message" is totally crass; MAW handled even that with style. Kenny Dopes break through as a solo artist came in 1995. One night disheartened by the music that was being released throughout the business, Kenny went home and pulled out a series of classic records. After 3 days Kenny had produced an entire album, “The Bucketheads” what he didn’t know was that this was going to be a huge turning point for him. With a plan to produce a record that was raw and fun, one track stood out, “THE BOMB (these sounds fall into my mind)”. With its driving drums, screeching sound effects and extended sample from Chicago’s “Street Player”, the song was an instant sensation. Gonzalez had gatecrashed the European pop charts with his first major hit. Over the years there have been dozens of attempts at remixing or copying/re-producing this song. None have come close to the true sound of the original. Even now fifteen years later artists have clearly tried using the same samples to try and re-create the sound of this timeless classic. “THE BOMB” will remain a true part of dance music history forever. In a class by itself. Starting in 2000 and over the next ten years Kenny solely went on to remix R.Kelly's "Touch The Dream" and U Saved Me". "Light My Fire" by Shirley Bassey (EMi Records 2000), "It’s Great To Be Here" by The Jackson 5 (Motown 2000), "Tropical Sounclash” by DJ-Gregory (Defected 2002), "More Than A Woman” by Aaliyah (Virgin Records 2002), "Midnight Theme” by Manzel (Dopebrother 2002), And "I Got Rhythm” by Soul Fuzion (Dopewax 2003). And in 2005 the remixes “Golden” and Not Like Crazy” for Jill Scott and Kanye West’s "Addiction" with Terry Hunter. If Kenny wasn’t working on MAW productions or someone else’s project he was releasing his own originals on his Dopewax label. While production and touring accounted for most of his time, Kenny also founded Kay-Dee Records in 2003. The label came about when Scottish funk DJ legend Keb Darge came to Kenny with a challenge. After Keb heard MAW’s “The Nervous Track” he promised Kenny that he would come up with a funk version of the track. A short while later he came back to Kenny with “Nervous” by The New Mastersounds. Kay-Dee Record's was born and the track became the first pressing on the label in 2003. The idea then became to find old masters and produce entirely new mixes of them. Not re-mix, but mix down the originals and create new masters to give collectors and DJ's a completely new version. Kenny has been picking and mixing rare and unreleased records ever since. Due to some unforeseen circumstances and the transition from carrying physical merchandise into the digital era. The label slowed down for a year or two. Between Kenny’s passion for rare “real” music and a deep love for vinyl Kay-Dee Records will be celebrating its 10-year anniversary soon. Kenny has been working on re-vamping all his brands and has currently revived the Kay-Dee label. In 2007 another fresh venture that Kenny has taken on is a partnership with Mark Finkelstein founder of Strictly Rhythm Records. The two partnered up and created the label Ill Friction. The labels goal is to find and produce fresh new artists and release quality music in various genres. Ill Friction delivers a mix of house, disco, funk and soul and continues to push the envelope by collaborating a diverse group of artists to deliver superior music. These two business monsters have their hands full. Ill friction just released “Ill Friction Vol.1” a compilation of the past ill friction greats, compiled by Kenny Dope. It was released this August 2011. Another recent project includes “Mass Destruction” a full LP of tracks produced by Kenny and DJ Terry Hunter. Released in 2010. The album includes features by Mr.V, Teresa Griffin, Byron Stingily (formally of ten city) and feature productions with Harry Choo Choo Romero, Marshall Jefferson & Mr. Fingers. Another huge project was the signing of artist Mishal Moore to the label. On may 31st 2011 Mishal Moore’s album “Bleed Out” was released. The album took more then 3 years to produce and develop. When her submitted ideas came across his desk all that could be heard to the average person was this voice and the strumming of an acoustic guitar. But what Kenny heard was something entirely different. Keeping his word to stay true to what Mishals music was about he added base, keys, electric guitars, drums, and four horn players to create Mishal’s sound. Mishal is a well-trained vocalist/writer whose voice can definitely make you feel something deep down in your soul. When put together with the sounds composed by Kenny Dope, it’s a dose of something true and refreshing. Once again Kenny shows diversity. And proves there is no genre he cant tackle and tackle well. The first single “Oh Lord” was released in 2009. The record was a banger but took a little while to catch on. The second single “ It Aint Over” was released in 2010 along with a quirky video. The track was remixed by the WideBoys. The single really took off when a dub-step version of the record was re-mixed by Document One. This version of the single has close to a million views alone. Combined version views of the single “It Aint Over” total close to 2 million. Through Mishal’s talents, voice and melodies along with Kenny’s experience, composing, arrangements and production together they have created an amazing album. Mishal is currently touring and promoting her album. 2011 also brought another Grammy nomination. Raheem De Vaughn’s 3rd album “ Love & War Masterpeace” (formerly signed to Jive Records) was nominated for best R&B Album Of The Year. Kenny produced 11 tracks on the album. The album features some big tracks produced by Kenny such as “Bulletproof” featuring Ludacris “Greatness” featuring Wale and “Revelations 2010” featuring Damien Marley. Other Kenny Dope productions on the album feature artists Jill Scott, Anthony Hamilton, Dr.Cornell West, Chrisette Michele, and Phil Ade’. Kenny started working with Raheem a decade ago, back in 2001, when Kenny’s good friend DJ-Jazzy Jeff introduced them to each other. In 2002, Kenny produced Raheem's first single “Guess Who Loves You More” for the 1st album, “The Love Experience”. On Raheem's 2nd album in 2005 titled “Love Behind the Melody” Kenny contributed 5 tracks. The musical chemistry that they create together has obviously spoken to the masses this year. In 2010/2011 the Kay-Dee Records label has released more then a few new pressings as well as re-stocked the entire Kay-Dee 7inch collection. Kenny can’t seem to keep certain copies on the shelves. Mellow Madness and Mugo 12Inch LP’s were issued in July 2011 on limited edition colored vinyl. He has also released two new artists of his own on the label this year. The buzz has been steady growing since word got out that Kenny was going back to his hip-hop roots. Kenny boldly states, “Rasheed Chappell is the artist that I’ve been waiting for to work with”. Rasheed’s authenticity resides at the very core of hip-hip music, and while the term “real” is often over used in the culture, Rasheed is unafraid to expos his flaws – balanced by his strengths and his pursuits, demons and passions for living; they are all put to record with the poetic precision that is reminiscent of MC's past. Now with Grammy nominated producer Kenny Dope in his corner, and co signs from legends like Biz Markie, Lord Finesse, O.C, DJ Jazzy Jeff and Clark Kent to name a few the pair and “Future Before Nostalgia” have gotten the true recognition they deserve. With the release of “Building 8” in early 2010 the world would get its first taste of what “Future Before Nostalgia” had in store. Voted one of the top 50 songs of 2010, the song would land on SiriusXM Radio, A-list Radio, PNCradio/FM and blogs from here to Japan. The follow up was “What I’m Here for”; on this track Kenny enlisted the help of friend world-renowned DJ/Turntabilist/Producer/2010 winner of Master of the Mix and member of EPMD – DJ Scratch to add his touches on the track. Dj Scratch added that nostalgic feel to the record and got attention from noted DJ’s Premier, Eclipse, Tony Touch, Lord Sear and others. With the stage being set and all the pieces in place Kenny recaptured his love for the music he listened to as a kid back in Sunset Park, Brooklyn. And still listens to today. On July 12th 2011 Kenny dropped his first solely produced old feel, old sounding back in the day hip-hop album. Kenny presented his artist Rasheed Chappell and released the album “Future Before Nostalgia” to the world. Kenny truly brought the boom bap back with this one. This album also features Mishal Moore on a track as well as the very talented DJ Mell Star. If you are looking for something that brings life back to true hip-hop this is an album that must be heard. The Fantastic Souls, a 12-piece band Kenny has created by piecing together a very gifted group of musicians that he has used on other projects. Earlier this year fantastic souls released “Aftershower Funk” and “Soul To The People”. Also released on limited edition colored vinyl. The Fantastic Souls compliment each other and their instruments mesh together perfectly through Kenny’s visions and instruction. The music speaks for itself. The fantastic souls have another single being releases late summer, early fall of 2011. With a full 12” album being released later in the year. The album will feature the voices of a few very well know vocalists. The band and its members and voices will be introduced to the world shortly. In 2011 Kenny also produced a track titled “From The Hills” for Raekwon’s “Wutang Vs Shaolin” album. Joel Ortiz’s album “ Free Agent” also features a track Kenny produced titled “Finish What You Start”. Kenny partnered up with Ice-T this year to co-produce a track for Ice’s wife Coco and their reality show debut “Ice Loves Coco”. Coco’s “Shoe Freak” received mixed reviews. People absolutely loved it or hated it. It’s not a song that’s for everyone. However, the big room beat is crazy. Another track where Kenny shows diversity goes left. One has to admit that this vogue meets freestyle meets house track is a crazy banger. The beat bangs under coco expressing how much she loves her shoes and what she wants to do to them. This track will be a certain favorite for select audiences, definitely in the fashion world and defiantly with the divas. Cant you see RuPaul working the runway now…Kenny admits how much fun he had working with great people, Ice and Coco and producing the track for her. With his long-established reputation as a DJ extraordinaire Kenny consistently shows his distinctive ability for programming superior beats while blending a myriad of music styles to deliver the ultimate MIX. Kenny showcases a melting pot of house, jazz, funk, soul, and hip-hop and others while keeping the show colorful, energetic and soulful.